Add the finishing touches to your envelopes with these simply elegant address labels. 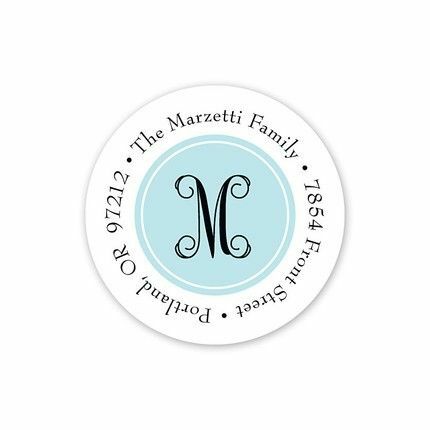 These small round stickers feature an aqua blue center that is accented by the initial of your choice. Your address is printed around the outside edge of the label to complete the look.